Sometime in August when I was visiting fellow mommies who joined Chris’ Mommy Moments, I’ve learned about NIDO’s Proud to See the Difference billboard promo from Mirage. All I did was fill out a form, answer a question, submit a picture of my son, and wait for NIDO’s confirmation. We are happy to inform you that the photo of your son Justin Edward that you submitted for the NIDO 3+ See the Difference has passed the screening process and has been approved for entry. Plus, we will also be sending you a photo of your child’s billboard entry via email. Exciting! Thank you for seeing the difference! Now, I’m one excited mom! I’m not sure if the promo is still ongoing, but you can check out this link if you want to know more about it. This entry was posted in Justin, NIDO, See the Difference Billboard Promo. Bookmark the permalink. 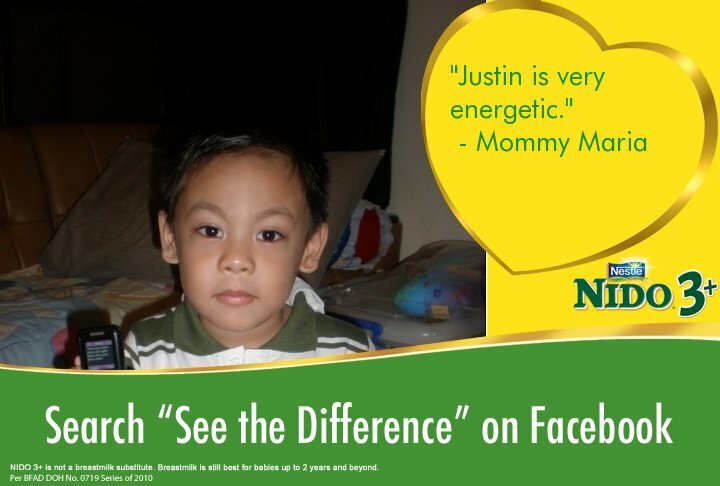 11 Responses to Justin’s Photo Will Appear in NIDO’s Digital Billboards! that's good news, mommy. i am sure you are so excited. i know how you feel as I am a proud mommy too.